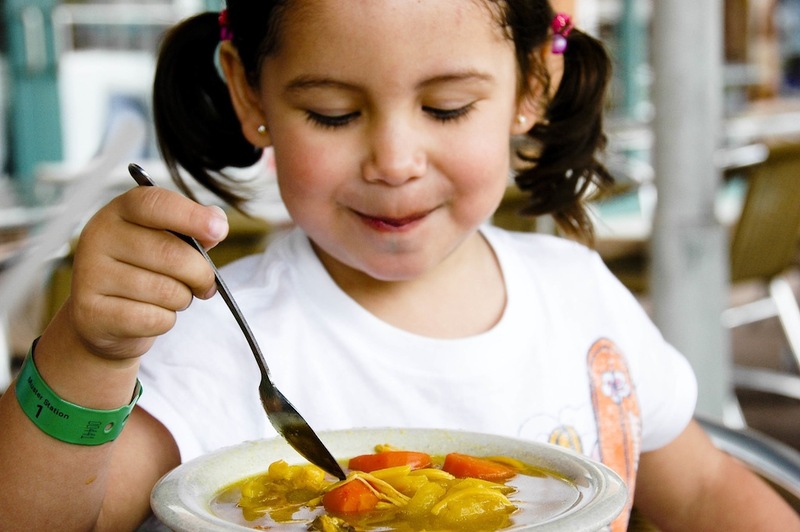 Chicken Soup is one of those foods that are comforting and almost universally loved. This recipe is one of the many versions of it. A bowl can cure the common cold, a bout of nostalgia or even a broken heart. Salt chicken lightly. Add water, chicken, tomato paste, onion, corn, garlic and oregano to large pot. Bring to boil, then reduce to low, cover and simmer for 30 minutes. Add potatoes and carrots. Cover and simmer another 30 minutes, or until potatoes are tender. Add noodles, saffron, lemon juice salt and pepper and cook until pasta is ready. 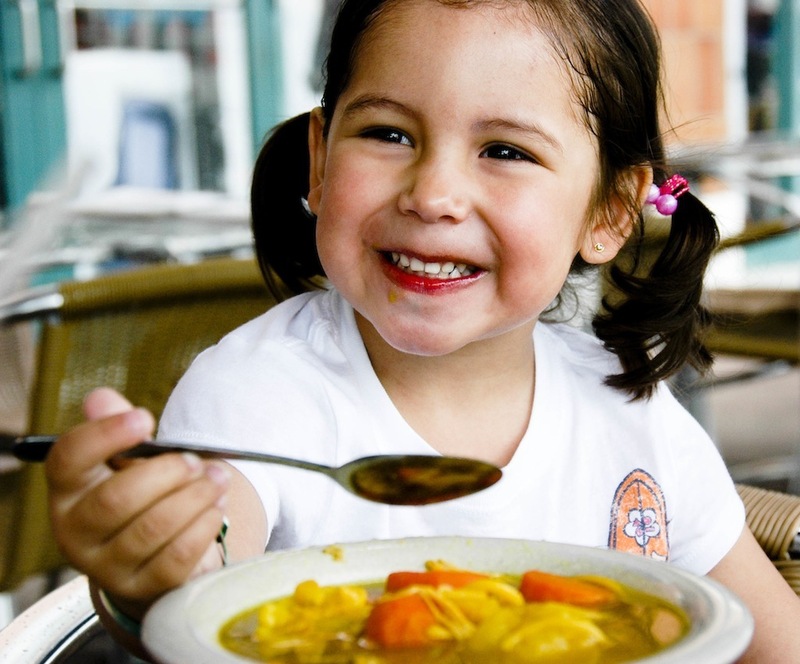 * Photos in remembrance of Helia Hernandez, a little girl I will never forget and who loved chicken soup with a passion. Thank you Melissa for this awesome recipe. love the corn cobs in there–fun 🙂 Looks amazing and I will make for my girls as they’re fans of any and all chicken soups. You’re so right–a universally loved food. Wanting to thank you for finding me on facebook. Love seeing folks in multiple social media spots 🙂 I am off to find you, now! 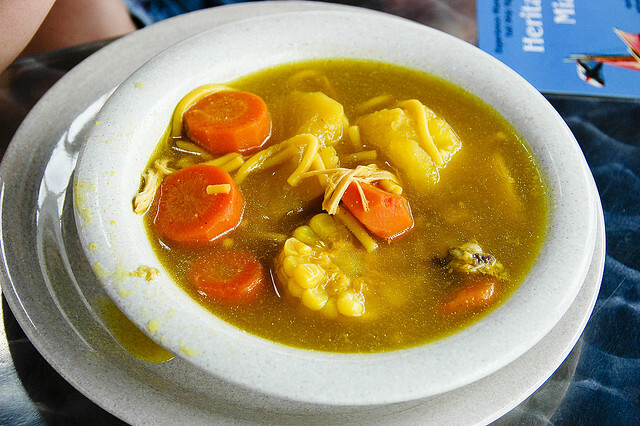 Adding corn to the soup is fun. My children love it.